A remarkably common question, even more common when the watch being worn is an expensive mechanical watch. For me, it's a kind of honest simplicity. A watch should be a watch, a knife should be a knife, a hat should be a hat. Personally, I don't really "get" the jewellery aspect. I seldom notice other people's watches, and don't care that much whether they notice mine. It's there for my enjoyment, and there to serve a function, and while I'll choose something reasonably presentable, I buy cheap. I'm of a similar nature with the accuracy too. Near enough is near enough, just as I like my knives to be sharp enough rather than chasing finely honed mirror finish precision. I agree, I don't wear any of my watches for the sake of jewellery either, I only have one piece of jewellery and that was given to me by my grandmother. I wear them because I like well made items items that will last, I get my own satisfaction out of wearing them. Most people don't notice. I have one nice watch, which I do actually consider jewellery, a gold plated mechanical Rotary pocket watch. That has probably had less than 2 weeks total use, and only comes out on formal occasions. Everything else is cheap. I think it comes from breaking too many watches as a kid. A watch is way more portable than a phone, and can be waterproof. Phones can run out of power in a day. I hate my phone (except for taking pictures with) but I love my watch (Citizen Eco Drive). I can go out for a quiet walk and no one tries to contact me on my watch. I wont stop wearing a watch since for my its goes unnoticed till I require the time. My phone is good at doing many tasks but I have to be mindful of battery life. My solar GShocks are invincible ( ok thats a stretch ) but I've not had to change a battery in a good long while. I use alarms on my watch and my phone but when I put my phone into my pocket ( cargo ) I don't always hear it. My watch unlike my phone is not cumbersome. I have hands free usage of my watch which is a terrific convenience vs my phone. I works around water so it's not always "easy" to check the time with my phone. I cannot always just take out my phone to check time. I'm lazy I guess and other times my hands are busy or dirty or otherwise not in suitable to hold my phone. My watch is an extension of my phone. I highly suggest everyone avoid smart watches like the plague, as after you have worn one for a while you may not be able to go back to a regular watch! When my first Pebble broke, I can't honestly tell you how often I looked at my ZA1 or my Seiko Orange Monster or one of my G Shocks to see who was texting me only to realize that I didn't have a smart watch on. But in the end, I like my watches, even the plain old dive watches, automatics and quartzes. They are watches, and if I only did the things I needed to do then I wouldn't have a Jeep when a Kia Rio hatchback would do me for most of what I do and a lot cheaper. I wouldn't have much of the clothing I have, instead I'd just have a functional burlap jumpsuit. I wouldn't have the SAKs, the multitools, the tablet or some of the other extravagances I have in life and personalize my world to make it pleasant for me. And I probably wouldn't have my giant dog, although she does serve a purpose too, even though admittedly most of her job is making sure the couch doesn't float away. I'm not sure that would be worth the excessive food bill. In short, I wear a watch because I bloody well want to, and it makes me happy. 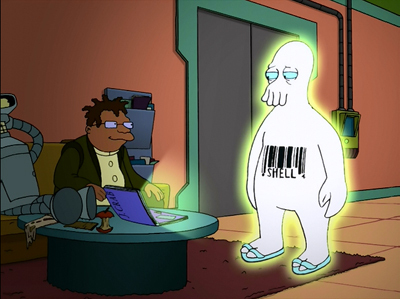 I'd survive without a watch, the same way Zoidberg would survive with just a generic Planet Express discount health coverage replacement shell. But survival is one thing, and living is another. I don't think any of us fall into that Clique of people. Me personally? I don't always have a phone on my. Since ridding social media I may be the only student in class who doesn't have their phone out every second. I also can't carry my phone on my at work, or while fishing, or at the gym. More often than not if I'm not home my truck gets more use of my phone than I do. Oh God, now I'm agreeing with both Al AND Mark! What have I become? I am mostly utilitarian as well. I have a ton of jewelry that my parents gave me and/or inherited. My father was big into gold. I myself can't stand wearing any of it. I do like a good quality watch though. As for using cell phones, I tossed mine away, and after the daily struggle with students, my thoughts on cell phones have taken a negative dip since then. My cellphone stays at home more often than not. It's just a replacement for the old Bell of 50 years ago. Consequently, I'm always wearing a watch. Whoa. So let us get this straight. You have NO cell phone?! I applaud you my friend. I simply hate my mobile phone. Not the manufactuter or the model, but the idea, be it useful as it may. My dad has the same thoughts. if he goes out, he WANTS to be unreachable. So he only uses the landline at home. My father felt that way too. Then one day he was out walking his dog on the trail they always walk on, a trail he has been on literally thousands of times, the trail they walked every morning and he fell and broke his leg. If he hadn't had his phone, which he only carried to placate my mother, he would have had to drag himself a lot further than he did to get help. Get and carry your phones people. You don't have to be tied to them like many people are, but they can be the difference between getting help when you need it and having to saw your arm off and walk back to civilization. have to admit my dad grabs my mom's phone when he's out on his own. Even though he doesn't know texting options. I like the feeling of wearing a watch and it just works for me. Easier to flick the wrist and look at it then trying to pry my phone out of my pocket. Sr. Member Posts: 357 You only go this way once. I wear a watch because I wore them before I had a cell phone. And I like looking at my watches. Sorry boss, but that's missing my point here - I do have and carry my little s*t, and of course have it with me whenever outdoors, but rarely in a mode or mood so I could use it as a watch. my watch still works when my phone's battery dies. But does your phone still work when your watch battery dies? There's a way around that - wear an automatic.